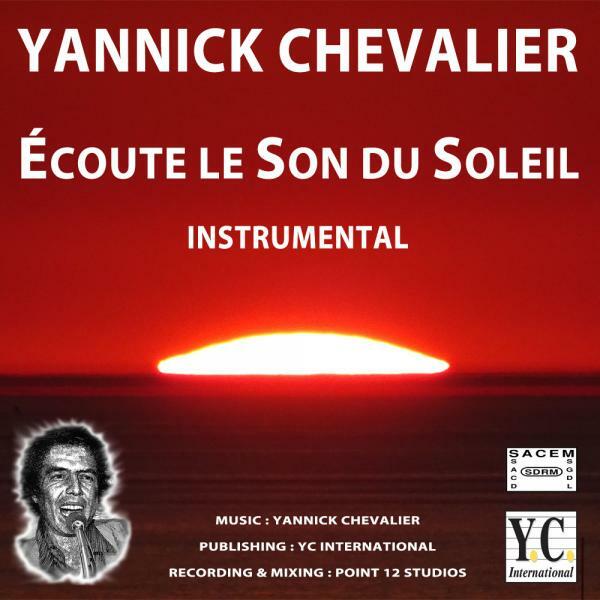 History : Yannick Chevalier "Écoute le Son du Soleil". The song : Written in 1984 during MIDEM, in Cannes, "Écoute le Son du Soleil", alternating DJ vocals and singing, interspersed with Jingles, reflect Yannick Chevalier's radio shows, club performances and live sets. Four Jingles were incorporated in "Écoute le Son du Soleil". They were created with one of the very first harmonizers (Publison DHM 89). This sound effect, that Yannick Chevalier named "Gamin" (kid), was a virtual voice that he used in his live sets and radio broadcasts to "reply to himself" (a bit like a ventriloquist with his puppet). Anecdotally : In order to refine his performance, Yannick took singing lessons with the famous Madame Charlot, the French Show Business voice coach. The instrumental version of "Écoute le Son du Soleil " is very popular with DJs. Today : Creator of the first DJ school in France, Yannick Chevalier is the author of the book "Profession Disc Jockey" (a referencial work in DJ training). Yannick Chevalier is also a TV and radio advertising producer, a sound designer and a sound engineer. He runs Point 12 studios, which specialize in postproduction for film, television and radio. To date, Yannick Chevalier has produced 48 Jingles albums, 30 Sound Effects and Sound Design albums, available on the www.jingles.fr website. You can find Yannick Chevalier's "Magic Mix" and Podcasts for free downloads on www.jingles.fr. Name of the work : "Écoute le Son du Soleil YC15". Lyricist & Composer : Yannick Chevalier.